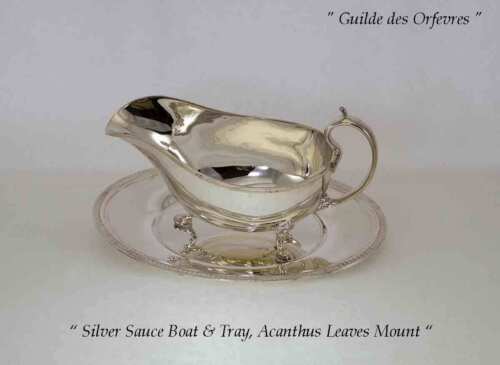 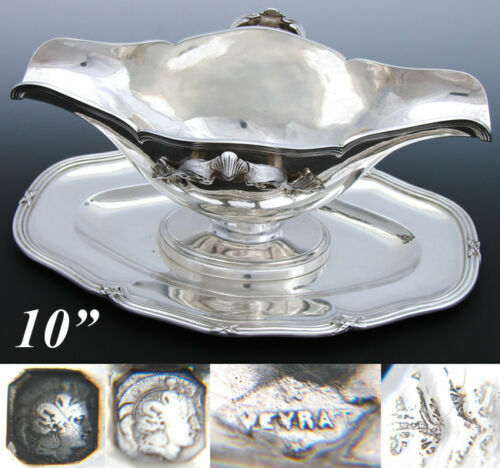 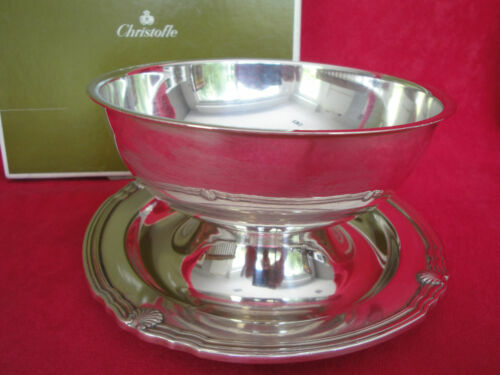 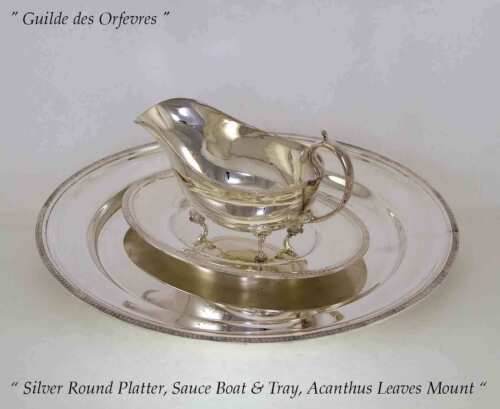 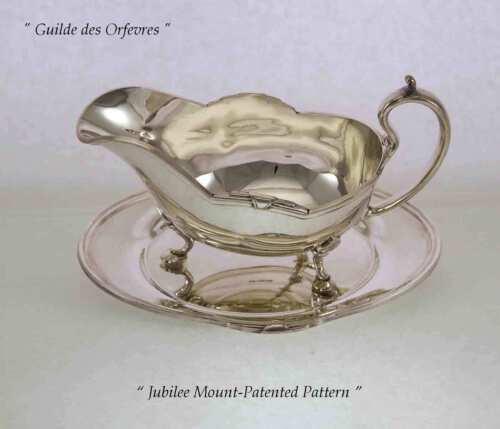 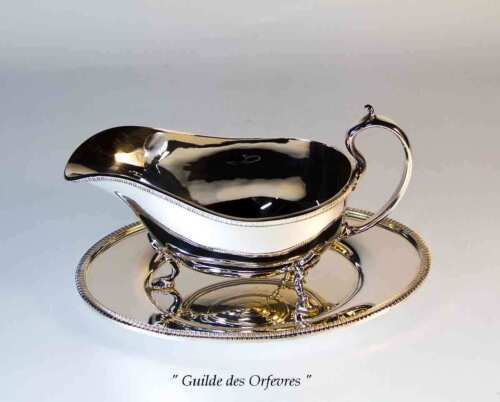 Buy: $249.0 CHRISTOFLE FOR GALLIA SILVERPLATED SAUCE BOAT AND SPOON..
$220.0 Silver gravy boat (sauceboat) or creamer with a handle. 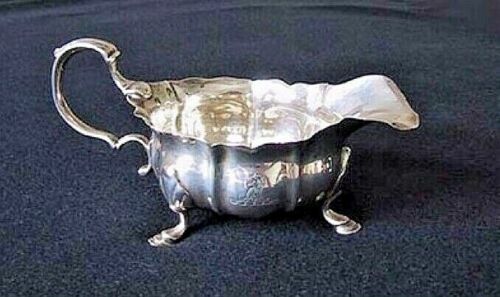 Denmark, 1925. 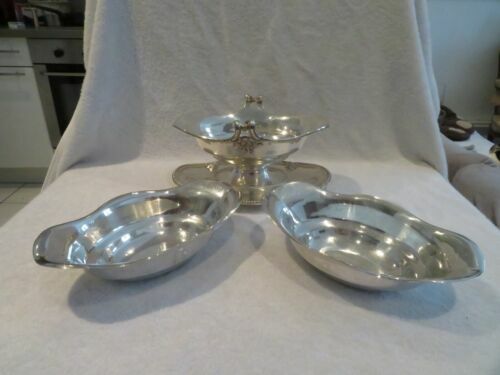 $2320.0 Pair of saucers in silver. 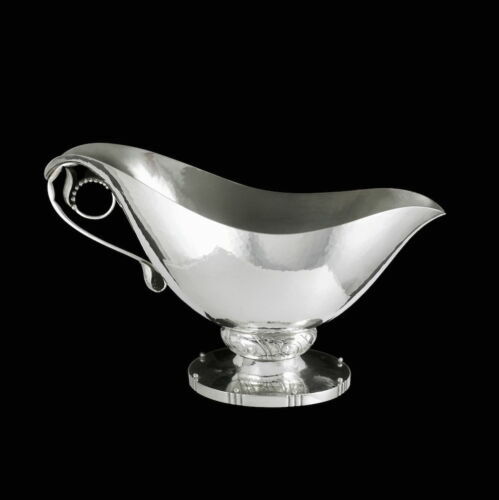 Antonio Martínez, Platerías Martínez, Madrid, 1797. 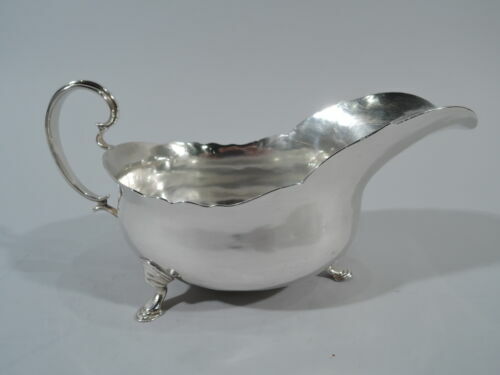 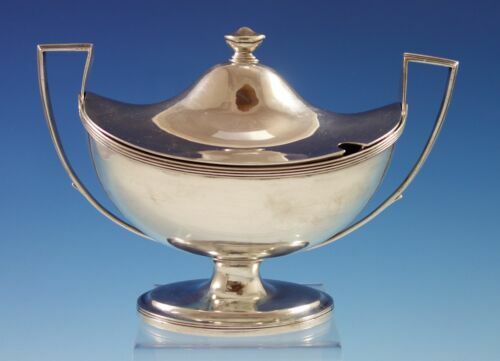 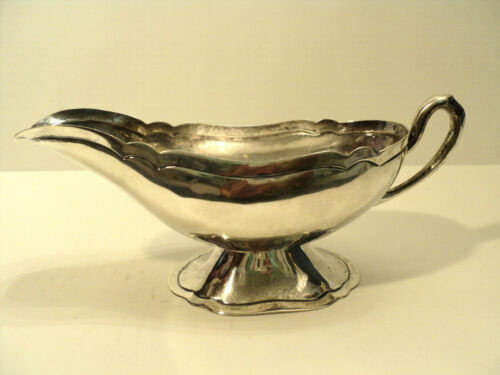 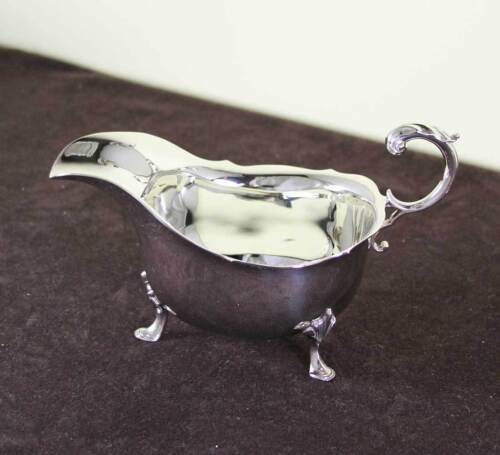 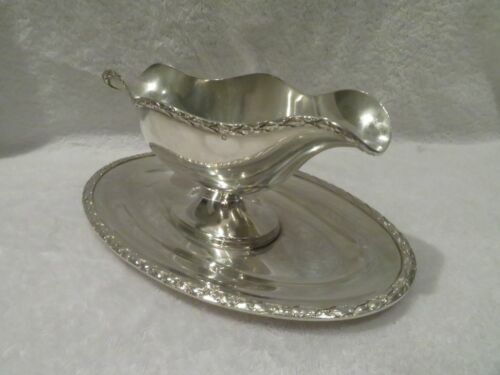 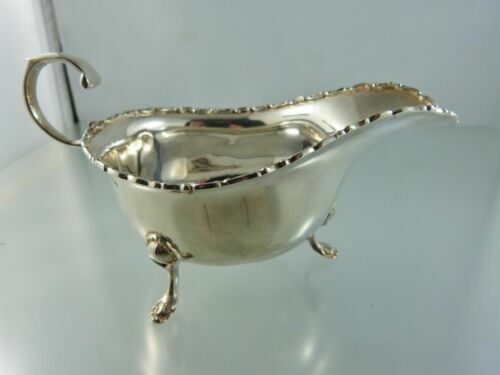 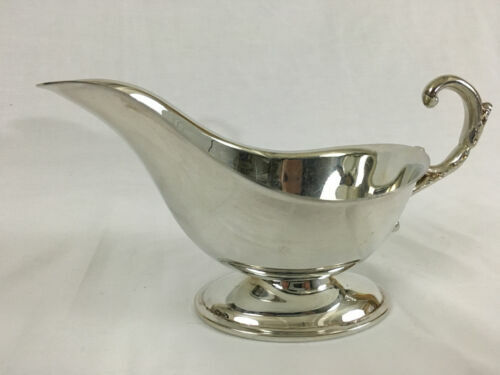 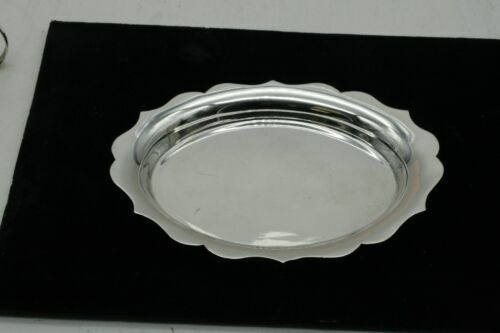 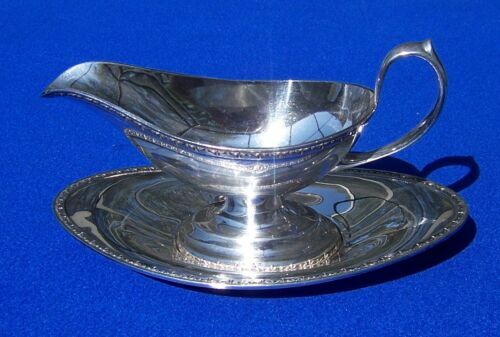 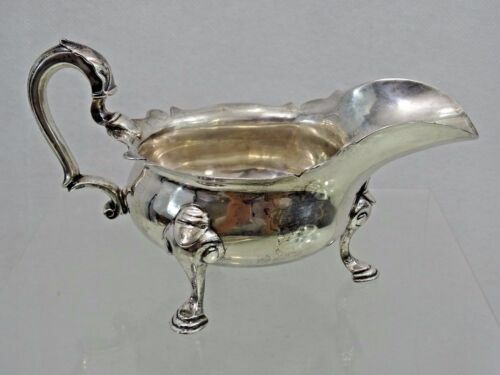 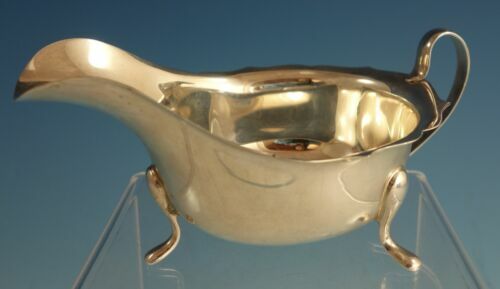 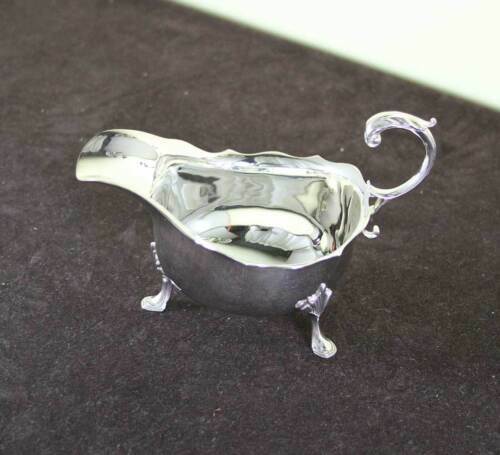 $24.99 Vintage Silverplate Gravy Sauce Boat 8-1/2"
Buy: $25.0 Vtg. 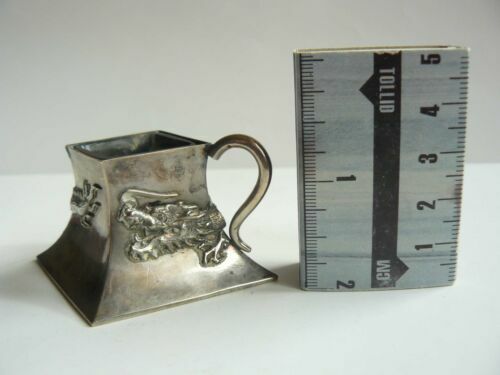 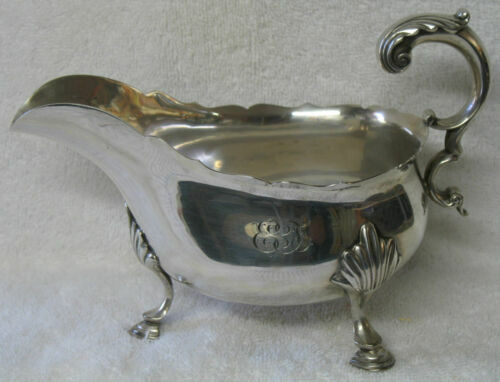 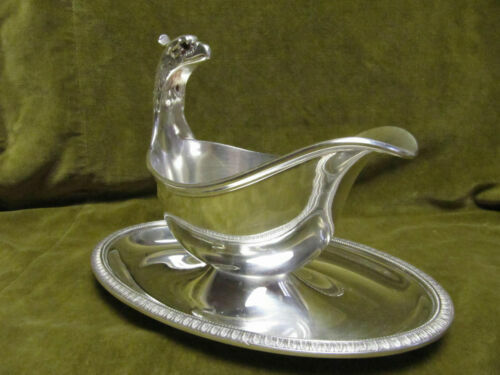 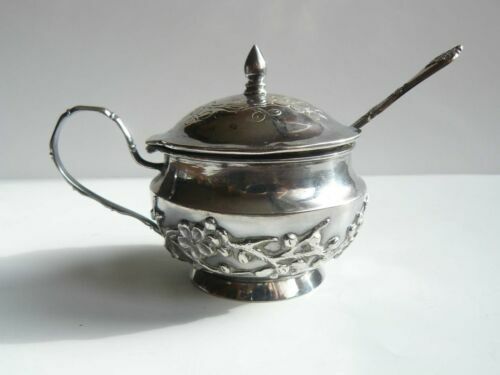 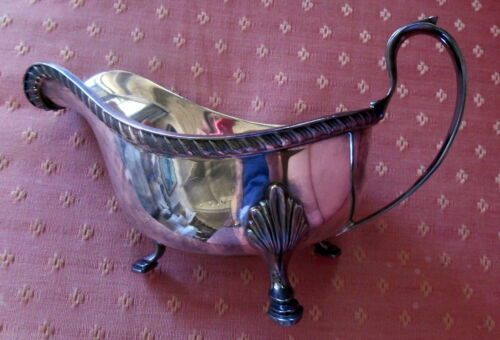 Sheffield Silver Co., gravy boat, no handle, Beautiful shape!